Where is the 'mouse' of the hand hiding...??? Where is the 'mouse' of the hand located? And why is it called the 'mouse'? PS. Patti, thanks for sharing the picture! 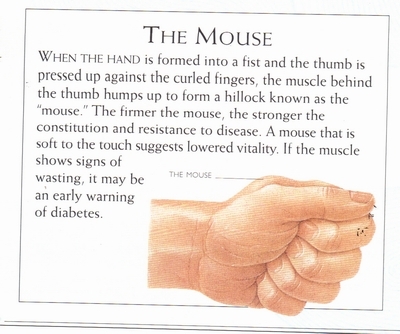 NOTICE: In Latin word 'mouse' means muscle; the picture below is taken from a Dutch source (medical oriented): the word 'duimmuis' is the Dutch translation for 'mouse of the thumb' (mount of venus), and the word 'pinkmuis' is the Dutch translation for the word 'mouse of the pinky' (mount of moon). Re: Where is the 'mouse' of the hand hiding...??? Your translation would be limited to those of you in the Netherlands. I don't think looking for the use of the term 'mouse' in medical books for hand features will work any better than looking for the Mount of Venus in medical books. I believe it's a term used only in palmistry for this hand feature. Did you see it's also mentioned in Ed Campbell's book? There's another image in a different book - I'll look for it. PS. 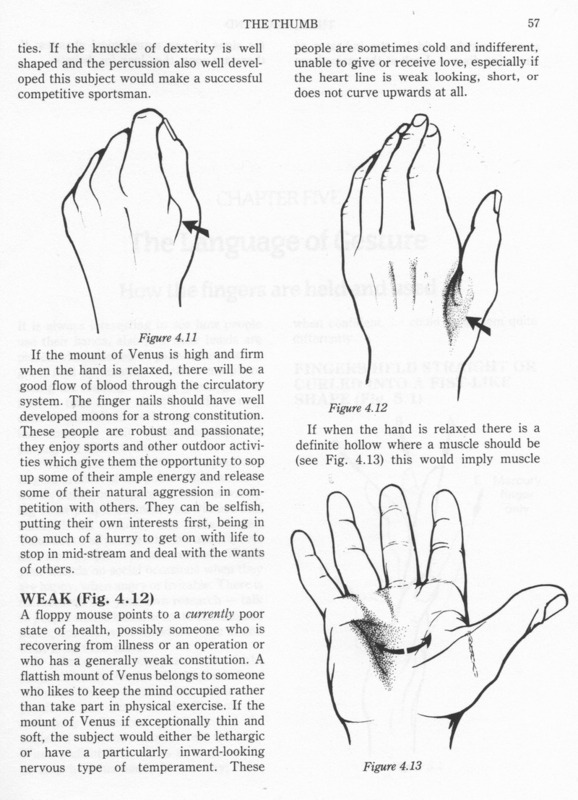 So far I have only found that in the field of sportsmassage the 'mouse of the thumb' is a synonym for the mount of venus (medical vocabulary: 'thenar'), and the 'mouse of the pinky' is a synonym for the mount of moon (medical vocabulary: 'hypothenar'). So far I am aware that the word 'mouse' is defined at the back of the hand according various books about hand reading - including Ed's book. But the word 'mouse' is certainly not limited to the field of hand reading (like you suggested)... because in the Netherlands it is actually THE most common used name (in daily life) to refer to the 'ball of the thumb' (in hand reading: 'mount of venus'). EDIT: And we usually only speak of the 'mouse', so it is confusing to see that some in some hand reading books the name 'mouse' is used for the (partly related) zone at the back of the hand. However, strangely, in English language the word 'mouse of the hand' appears to be much more rare.... and instead they e.g. speak of 'ball of the thumb'. I think the confusion is that in using the term mouse in palmistry it is referring to the lump at the back of the hand that is pretty much in the shape of a mouse/rodent when looked at from above and is full and firm. The word mouse that you are using is another word for muscle. Could you use this word alone and know which muscle is being referenced? A mouse gripping a mouse.. I know the "mouse" only on the outside of the hand liek on the picture of Lori Reed. 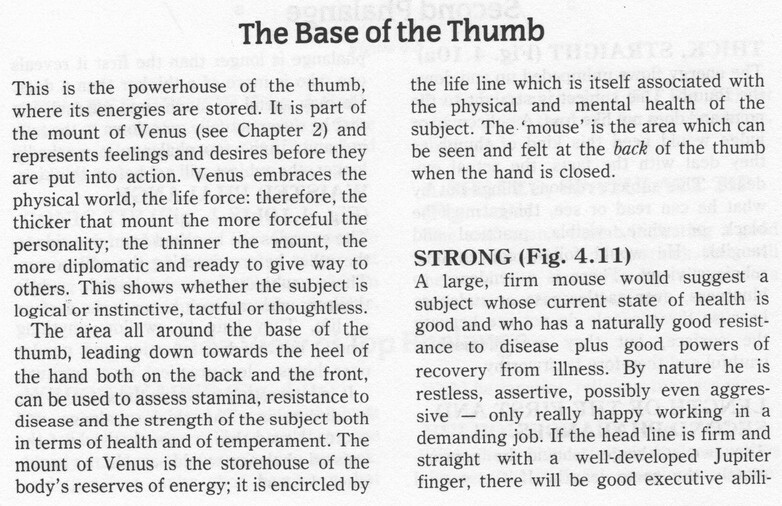 We use it as an expression of the vital force of the lounges - left hand = left side, right hand = right side. Same as Manfred and Patti, I had only heard of the "mouse" on the back of the hand. Also, if the remnants of my Latin don't deceive me, the Latin for muscle is "musculus?" I haven't seen the diphtong "ou" in written Latin at all, that's why I wondered. Maybe really a Dutch translation thing. This makes me wonder, what is the most commonly used word used in English language for the the word 'hypothenar'? Or is there no better alternative available in daily language? PS. Manfred & Kiwihands, have you ever seen the word 'mouse' used to make a reference to the back of the hand beyond the perspective of hand reading? In daily language we speak of the 'heel of the hand' in reference to the bottom of the palm. 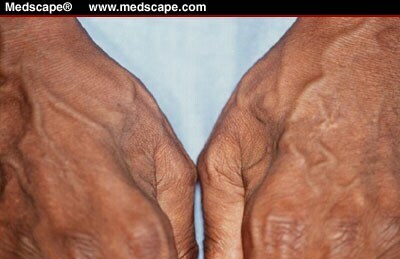 The outer side of the hand is typically called the percussion or just 'outer side of hand'. I've heard the word 'ball' used more for the foot than the hand. I've learned this from one of my teachers and not from the English/Indian handreading tradition or literature. If my remembrance is right I saw a picture with it in a book, too, but at the moment I can't remember where. May be it was in one of the French palmist Henry Mangin. Okay Patti, thanks again for sharing your observations regarding the English vocabulary. Anyway, I think a large part of my question has been answered now... because basically the Dutch word 'mouse of the hand' (handmuis) can best be translated into English language as the 'heel of the hand'. Anyway, I realize that few people will understand what I am talking about when I continue to use these 'mice familly'... so in the future I will try to avoid using the word 'mouse'. PS. I have another question: does anybody know the medical jargon (vocabulary) for the 'mouse at the back of the hand'? 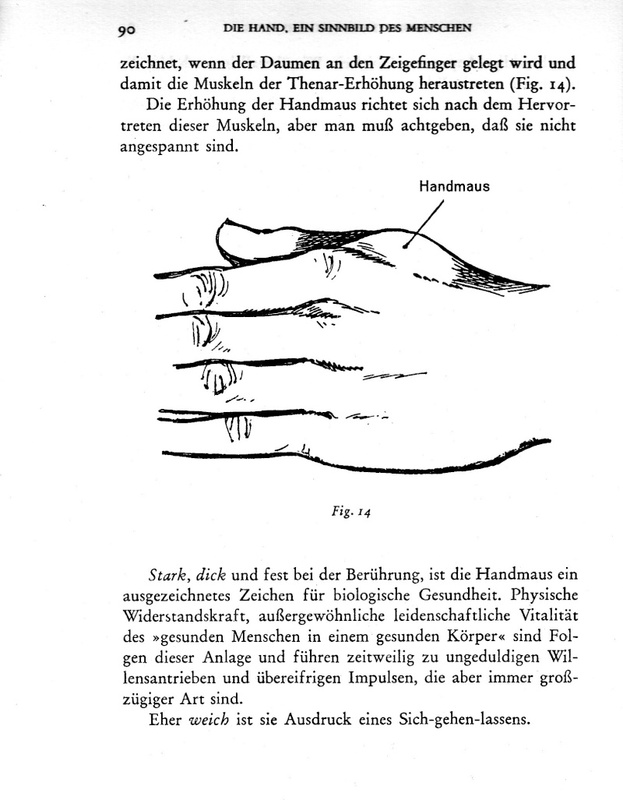 Mangin, Henri: Die Hand ein Sinnbild des Menschen", Rascher Verlag, Zürich1973. Original title: Le Main, Portrait de l'Homme, Edition du Griffon d'Or, Paris 1947 (?). Because your answer describe that the 'first dorsal interosseous' is in the medical name of the muscle inside the 'mouse' at the back of the hand. Just like the muscle inside the 'thenar' is called the 'first palmar interosseous'. Thank you for this Manfred! Could you give a brief translation? This means the earliest known reference is 1947, so far. Does Henri Mangin's book have a bibliography? "The first dorsal interosseous is composed of the two flexores breves profundi present in the first interspace, ...."
Thanks again Patti, excellent: I guess that's the answer I was looking for! The 'handmouse' is called the 'first interspace' according the medical vocabulary. What is the most common daily-language synonym for the 'first interspace'? I've heard the term 'thumb-cradle'.